The Commonwealth has vast mineral wealth. Modern commercial mineral exploitation in most countries dates back to the beginnings of British colonial rule. Today, a number of countries are highly dependent on the sector. The rise of China’s economy and its hunger for mineral resources has created a new market for minerals which had previously lost some significance and opened extra opportunities for foreign direct investment from international companies. China is the leading consumer of virtually all base and precious metals and including copper, lead, zinc, tin, nickel, aluminium and gold. Three Commonwealth countries, Australia, Canada and South Africa have pre-eminence in the world of mining. The UK is also prominent in the world of mining as an international centre of coordination for mining operations, partly because of its capital markets which are a source of finance for many mining projects around the world. Most of the large international mining companies outside the US are headquartered in London. 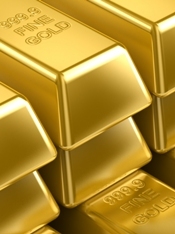 Four countries in the Commonwealth are amongst the top ten producers of gold in the world: Australia (2nd in the world), South Africa (4), Canada (8) and Ghana (9). Five Commonwealth countries are amongst the top ten gem quality diamond producers Botswana (1), Canada (3), South Africa (6), Namibia (7) and Ghana (9). South Africa leads the world in platinum production and ranks second in the production of palladium. Australia is in the top three of the country list of producers of coal and the following base metals lead, zinc and nickel; and number five in the production of copper. Canada is a major producer of copper (8), lead (6), nickel (2), and aluminium (3), platinum (3) and palladium (3). Three of the largest mining companies in the world are all of Commonwealth origin: Rio Tinto (UK and Australia), BHP Billiton (Australia) and Anglo American (South Africa). The mining industry’s vital importance to economic development is clear, but the production of metals and minerals has not been without environmental and social cost. Indeed, the social cost has been experienced in the UK where erstwhile mining communities have been affected by high unemployment. In South Africa, Mpumalanga province has been declared as an air quality priority area because of air pollution of coal mining activities. Today, many mining companies are increasingly sensitised to sustainable development and corporate social responsibility (CSR) practices. Sustainable development programmes and CSR have emerged as key eligibility criteria for mining investments in many Commonwealth countries. Unfortunately, pan-Commonwealth co-ordination in the area of mining is not what it used to be. The Commonwealth Mining and Metallurgical Congress which began in 1924 (as the Empire Mining and Metallurgical Congress) took place until the 1970s. The event which brought together, mining industry experts, engineers, geologists, executives and financiers ended as a Commonwealth event around the time of increased sanctions against, and the isolation, of mining giant South Africa as a result of white minority rule policies.